The Otto matt true handleless kitchen has a sleek design with a premium quality feel in its true handleless form. Available from stock in light grey and porcelain. It is also available in 30 painted colours. Shown here in light grey, this colour offers a warm feel to the sleek design of the Otto true handleless kitchen range. 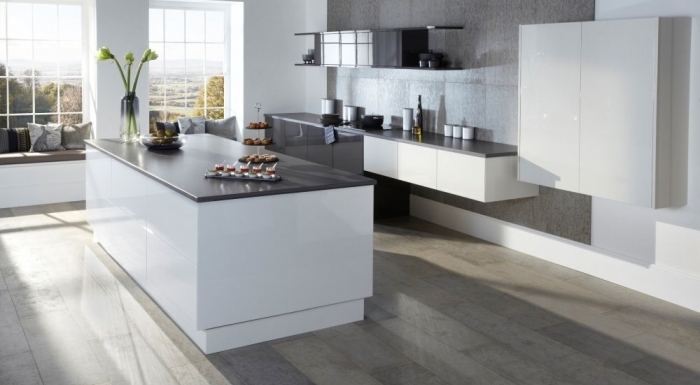 The matt porcelain finish of the Otto true handleless kitchen displays the modern design.